In our third and final edition of the blog featuring our Grand Prize Finalists, we hear from Team ARGGONAUTS-Fraunhofer IOSB hailing from Germany; Team Tao, from the U.K.; and Team KUROSHIO, representing Japan. Read on to find out more about these teams, and please follow XPRIZE on Facebook and Twitter for updates and sneak-peek views at Round 2 Testing. Team ARGGONAUTS-Fraunhofer IOSB consists of the combined efforts of experts from Fraunhofer IOSB, as well as various students and volunteers dedicated to exploring the undiscovered ocean floor. Together, their members encompass seven nationalities, joined together at their home base of Karlsruhe, Germany. Dr. Gunnar Brink, Team Lead and the Head of Strategy Management at Fraunhofer IOSB, has overseen this team’s transformation from a research group into a competition-oriented crew. 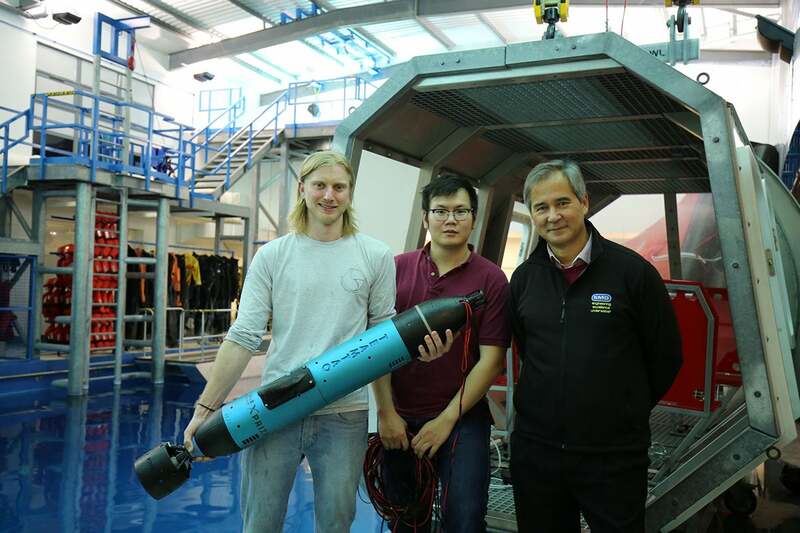 They are working hard to design and develop new solutions to their swarm technology of autonomous subsea vessels and unmanned surface vehicles. 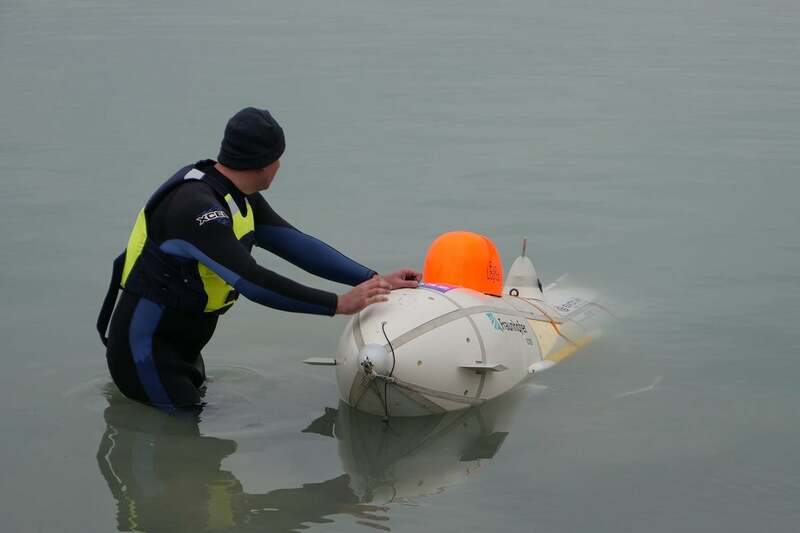 Having built upon their solid prior knowledge from previous deep sea AUV projects, TieTek and DEDAVE, a pivotal moment for this team was succeeding to complete the technical requirements of Round 1 and become a Finalist in this competition. Looking beyond the finals, Dr. Brink and his team members aim to continue applying their learnings and experiences in this competition to further develop and be an industry advocate for low-cost, large-scale solutions for comprehensive, affordable exploration of the world's oceans. Learn more about Team ARRGONAUTS-Fraunhofer IOSB here and by visiting their team website. You can also connect with them via their Facebook and Instagram. What is your favorite ocean-related movie? What do you appreciate about the XPRIZE approach to solving grand challenges? By starting international competitions, XPRIZE acts as a unique catalyst of research. These competitions give us the possibility to face challenges that are important for the whole humankind. With its innovation spirit, XPRIZE encourages people from all around the world to be aware of and excited about science. We as a team are happy and work hard to be part of this amazing process. One of the “ah-ha” moments was when we discovered the robust inflatable catamarans, and another one was the idea for the recovery process of the Great Divers (which we have filed a patent for). If we will win the XPRIZE, it will be a victory for the whole world. We may be the only team from Germany, but we see ourselves as an international team. Our team members come from different nations: we are Germans, Russians, Egyptians, Indians, Bulgarians, and Ukrainians. But most importantly: we are one whole team that overcomes cultural differences and works together to reach our goal. 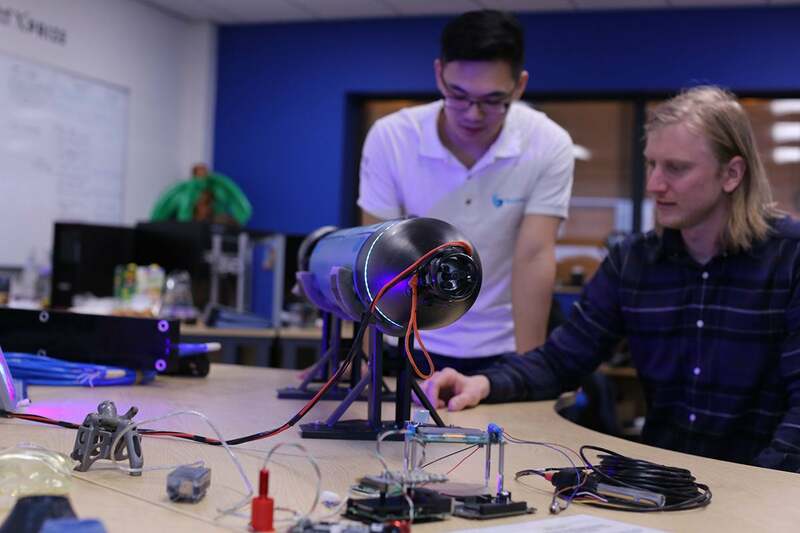 Team Tao is comprised of two team members, plus a cohort of advisors, technical consultants, and student engineers to solve the grand challenges of the Shell Ocean Discovery XPRIZE. Team Tao hopes to demonstrate their technology as departing from traditional, commercially accepted approaches, and redirect the market to use multiple, simple, low-value assets which together form a complex and industry-leading survey ecosystem. Growing up in Australia and always living near the coast, Team Lead Dale Wakeham has a strong passion for the ocean and figuring out new ways on how to best protect it. 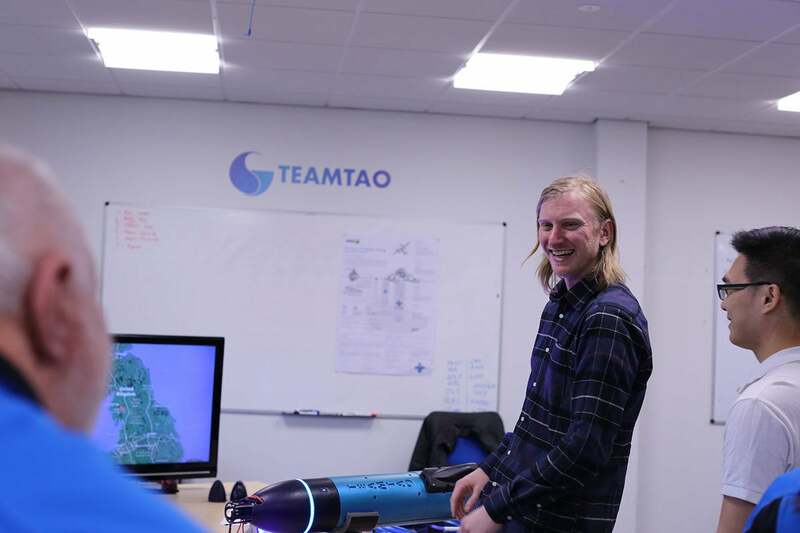 Dale is currently employed by SMD, a robotics and subsea vehicle producer in the U.K. but has transformed his R&D role into being the Team Lead and Product Architect for Team Tao. Team Member Dr. Hua-Khee Chan describes himself as an enthusiastic and outgoing engineer who is passionate in solving problems that affect humanity in the area of sustainability and circular economy. Dr. Chan has his Ph.D. in Electrical and Electronic Engineering from Newcastle University with a strong background in materials technology and electronic systems engineering. Learn more about Team Tao here, through their team website, and via their Facebook and Twitter @TeamTaoUK. Titanic, both for the sentimental part of the movie and the technology that enabled the filming of the ship wreckage. Born and raised in a small island north of Malaysia, life as an islander has always related to the sea surrounding us. It was the 2004 Indian Ocean earthquake and tsunami incident that drew my attention towards ocean science and how destructive our oceans can be. It was my first channel crossing between Penang Island and the Peninsular Malaysia when I was about six years old. I was worried sick that the ferry was going to sink… (not really an ocean, but I was not able to differentiate it back then). I will go for “solving a technologically challenging issue at a very short period of time and with almost no support in resources.” Nevertheless, this stimulates the participants to think outside of the box, yet at the same time not too out of the world, wherein the solution would be financially unfeasible and technically impossible to deliver. There might be ruins of the ancient civilization, if there is one, remains of animal carcasses in a massive underwater graveyard, sunken pirate treasures, missing aircraft/sea craft that supposedly travel through dimension, billionaire-making natural resources, you name it. But I strongly believe in unlocking the knowledge about our oceans. This is what our team set off to accomplish. 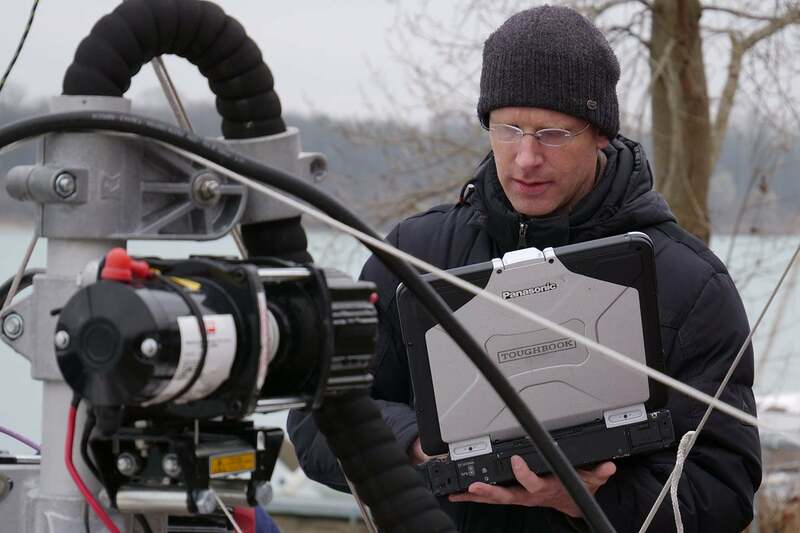 There were “ah-ha” moments when we realized such and such battery technology is being used on James Cameron’s Challenger Deep, “ah-ha” such and such technology is naturally pressure tolerant. It feels like we are rediscovering closely guarded trade secrets by subsea giants through our own experimentation. Working under tremendous pressure in a restless state, not breaking down and walking away from the competition. 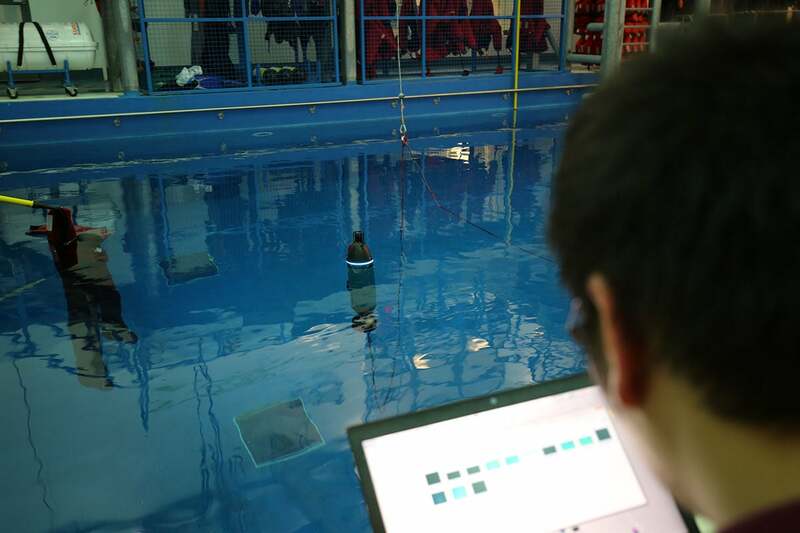 We had been pressure-testing a couple of homemade buoyancy blocks, only to realize that we did not measure its weight and volume prior to the stress test after six hours or 2500 GBP’s worth of equipment time wasted. 2018 is the year of the World Cup and the year of the Finals for this competition. Why should people root for your team? We challenge the old-world norm, creating new technology for tomorrow. Team KUROSHIO was formed to take on the challenges of this XPRIZE competition as a joint endeavor between a multiple of Japanese research organizations and businesses. 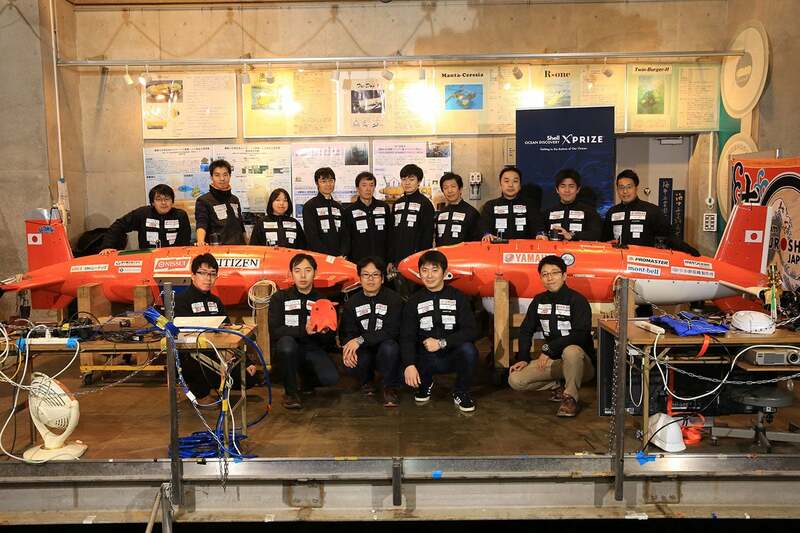 With over 30 members, this team of young Japanese scientists, engineers, and researchers with expertise in underwater robotics research, engineering, and marine operations aims to apply their combined knowledge and passion towards venturing into the unknown and deepest parts of the ocean. Another goal of this team is to be a catalyst in creating an ocean-related community in Japan and contribute to Japan entering into new markets and revitalizing existing markets. Drs. Takeshi Nakatani and Takeshi Ohki serve as co-leads for the KUROSHIO team. Dr. Nakatani is a research scientist at JAMSTEC's Marine Technology and Engineering Center (MARITEC) since 2011, having received his doctorate in environmental and ocean engineering from the University of Tokyo's School of Engineering in 2009. His specialty is underwater robotics and his work at JAMSTEC has primarily been the development of the Jinbei, Yumeiruka, and Otohime AUVs. Dr. Ohki is a research scientist at JAMSTEC's Research and Development Center for Earthquake and Tsunami (CEAT) since 2014. He received his doctorate in 2013 in engineering from the Department of Aerospace Engineering at Tohoku University's Graduate School of Engineering. 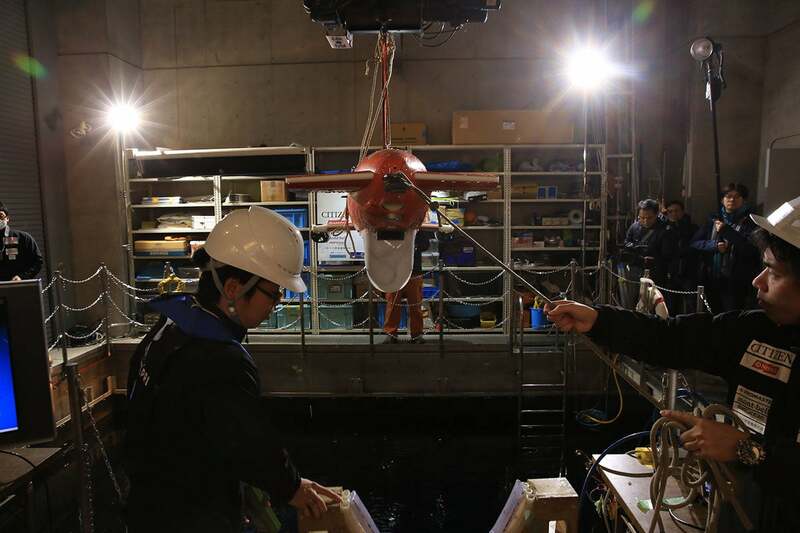 His specialties are mobile robotics and ocean-floor cable systems. 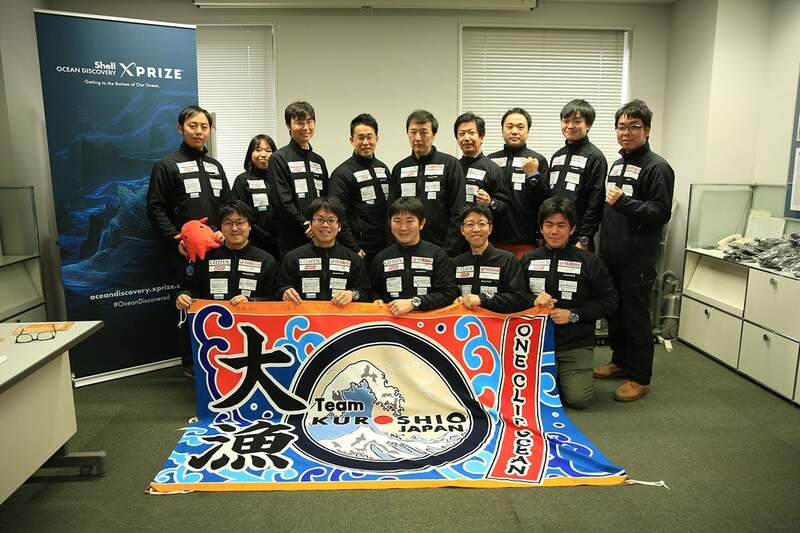 Learn more about Team KUROSHIO here and via their team website, and by following them on Twitter @team_kuroshio. KURENAI NO BUTA (Porco Rosso) (1992) directed by Hayao Miyazaki. The contrast between the beautiful blue Adriatic Sea and the blight red-colored biplane is excellent. Since I was a child, I have been interested in exploring the sky and deep space, as well as the deep ocean and inner earth, because they are all beautiful, unexplored, and unvisited nature. My curiosity towards the beauty of nature is one of the core motivations for me to proceed my work in mobile exploration by robots. The movie shows us the beautiful sky and the Adriatic Sea, so I like this movie. ‘Twenty Thousand Leagues Under the Sea’, by Jules Verne. He is quite famous for exploration novels, such as “Journey to the Center of the Earth” and “From the Earth to the Moon.” As I answered above, I realized I have a curiosity for the unexplored environment. I think some part of my point of view has been formed through reading many books from him. Maybe, picking various shells on the sandy beach. Never-ending discovery and mystery. 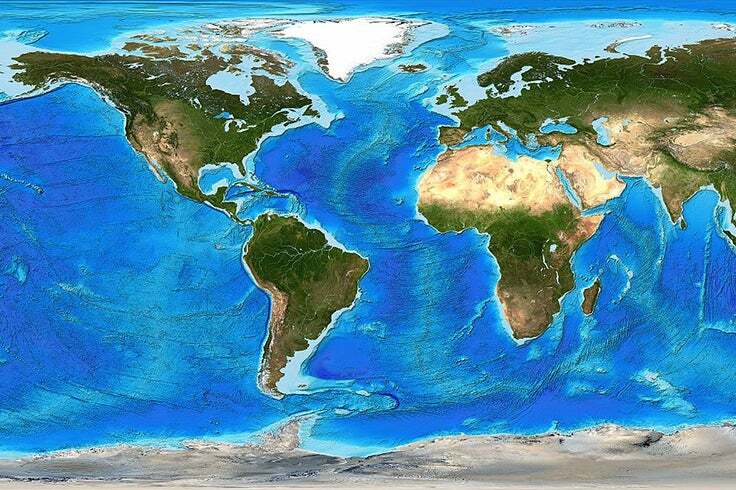 Two-thirds of our planet is covered by ocean. 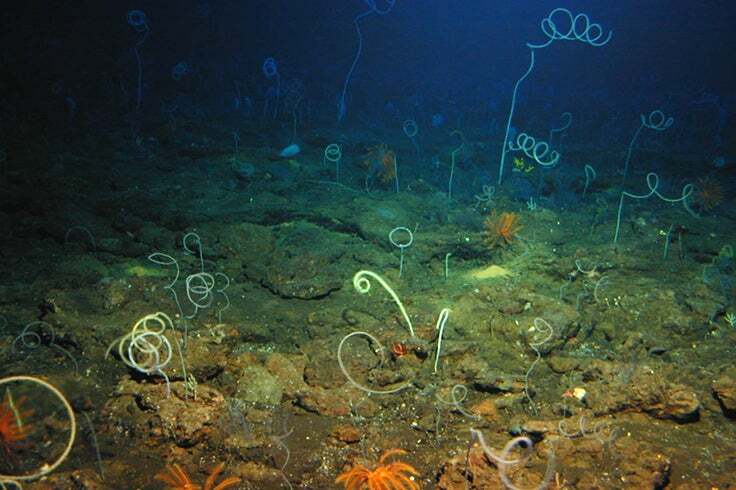 I think, the bottom of the ocean is one of our closest but unexplored worlds. Although many people are working very hard to discover more of it, there will still be enough to be explored in the future. 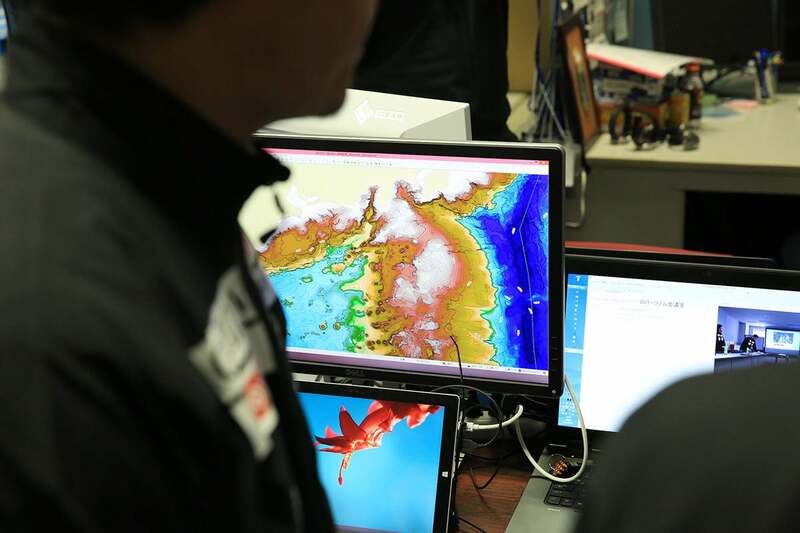 In Japan, when testing autonomous surface vehicles, it is required for some pilots to on-board for emergency response purposes, even if we usually control our surface vehicle remotely in sea-trials. 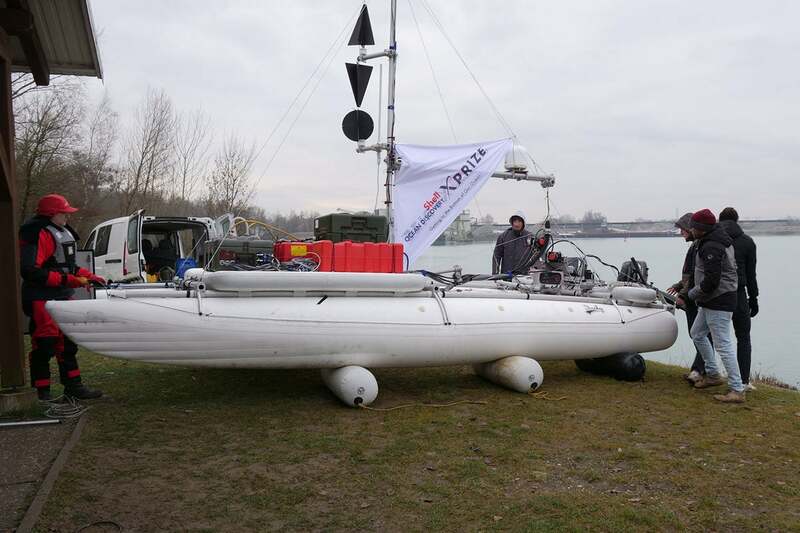 On one summer day last year, two pilots on our autonomous surface vehicles were just sitting and waiting for the completion of the operation over several hours during the sea-trial. Summer in Japan is very hot and humid. Thus, one of the pilots found an idea to reduce the unpleasant heat. He wore the heat reflection hood with his helmet. This idea of wearing a heat reflection hood seemed very useful to me. Well, my journey to search for the solution to be comfortable during sea-trial days in hot and humid Japanese summer still continues. The World Wide Web, by CERN, has allowed humankind to be more connected than ever before. I think the 21st century is the first period in human history that we have started to realize the wisdom of crowds. 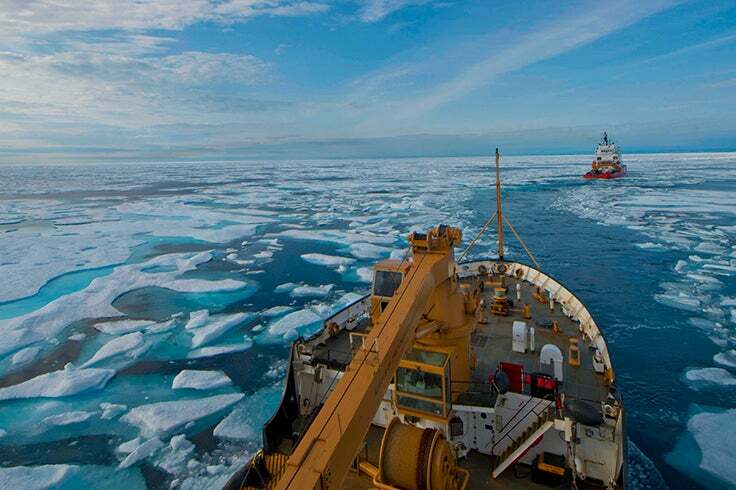 Through the Shell Ocean Discovery XPRIZE competition, many people from all over the world are taking on the competition to achieve a single goal in a limited time. I think this competition lends to employing the wisdom of crowds. I hope for greater autonomy in field robotics to aid in accelerating future exploration. In my point of view, curiosity is the fuel to solving difficult problems that we face. I believe understanding unexplored worlds here on Earth and in space will contribute to enhancing the curiosity of humankind as well as the field of vision of humanity.